As soon as I saw this recipe I knew it was something that my husband and I would both enjoy. 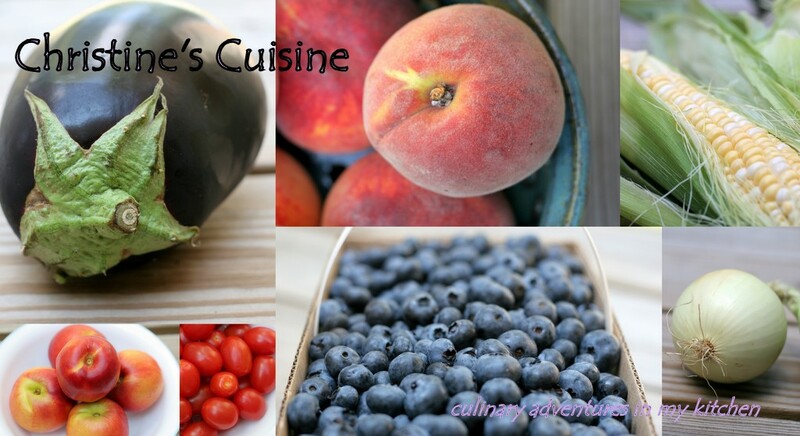 It is healthy, fulfilling and super easy to put together. No only did this make for a super easy dinner – it was also a great lunch to pack for work. I could see myself making a bowl of this and eating it in pitas for lunch throughout the work week (but for now I usually have leftovers almost every day!). Also a great meal when it is super hot outside and you don’t want to stand over a hot grill or stove. Enjoy! 1. 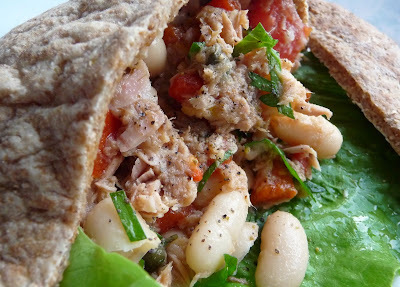 Mix tuna, beans, red pepper, tomato, lemon zest, and capers in a large bowl. 2. In a small bowl, whisk together lemon juice, olive oil, salt, pepper and parsley. Pour over tuna mixture and mix to combine. 3. Serve salad in pita pockets with romaine lettuce.